The Recording Academy is a U.S. organization of musicians, producers, recording engineers, and other recording professionals. It is headquartered in Santa Monica, California. Neil Portnow is its current president. 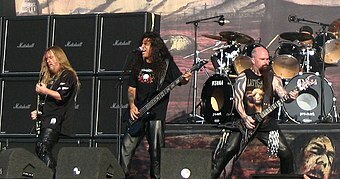 The Recording Academy recognized heavy metal music artists for the first time at the 31st Annual Grammy Awards (1989). 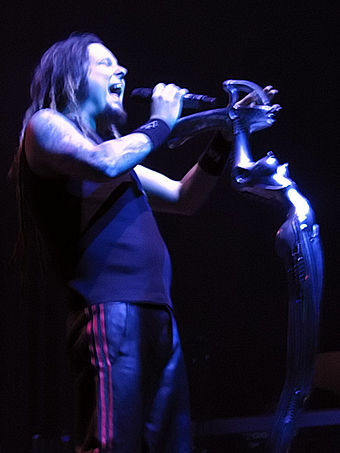 The category was originally presented as Best Hard Rock/Metal Performance Vocal or Instrumental, combining two of the most popular music genres of the 1980s. 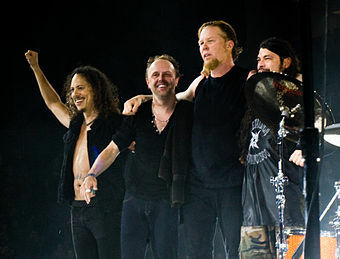 Jethro Tull won that award for the album Crest of a Knave , beating Metallica, which were expected to win with the album ...And Justice for All . This choice led to widespread criticism of The Recording Academy, as journalists suggested that the music of Jethro Tull did not belong in the hard rock or heavy metal genres. In response, The Recording Academy created the categories Best Hard Rock Performance and Best Metal Performance, separating the genres. 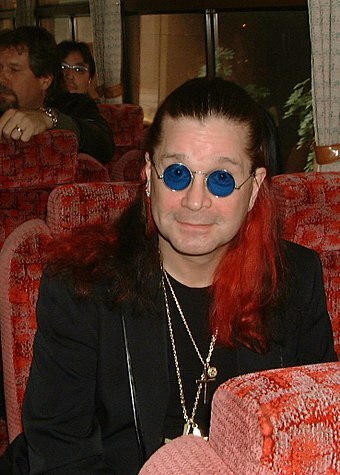 The Grammy Award for Best Hard Rock/Metal Performance Vocal or Instrumental was an award presented at the 31st Grammy Awards in 1989 to honor quality hard rock/metal works. The Grammy Awards, an annual ceremony that was established in 1958 and originally called the Gramophone Awards, are presented by the National Academy of Recording Arts and Sciences of the United States to "honor artistic achievement, technical proficiency and overall excellence in the recording industry, without regard to album sales or chart position." Christopher John Cornell was an American musician, singer and songwriter. He was best known as the lead vocalist for the rock bands Soundgarden and Audioslave. Cornell was also known for his numerous solo works and soundtrack contributions since 1991, and as the founder and frontman for Temple of the Dog, the one-off tribute band dedicated to his late friend Andrew Wood. Nine Inch Nails, commonly abbreviated as NIN, is an American industrial rock band that was formed in Cleveland, Ohio in 1988. 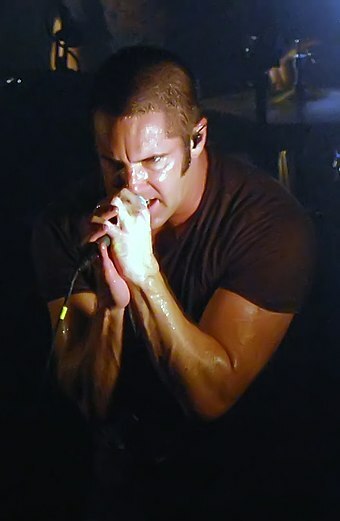 The band consists of producer and multi-instrumentalist Trent Reznor, as well as English musician Atticus Ross. 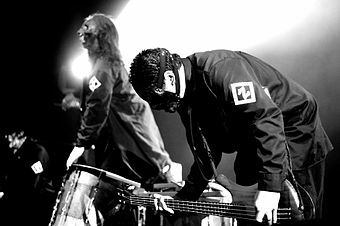 Over the course of their three-decade existence, the band has signed with several major labels, the most current being Capitol Records, under the name The Null Corporation. The Grammy Award for Best Solo Rock Vocal Performance was an award presented at the Grammy Awards, a ceremony that was established in 1958 and originally called the Gramophone Awards, to recording artists for works containing quality vocal performances in the rock music genre. Honors in several categories are presented at the ceremony annually by the National Academy of Recording Arts and Sciences of the United States to "honor artistic achievement, technical proficiency and overall excellence in the recording industry, without regard to album sales or chart position". The Latin Grammy Award for Best Rock Solo Vocal Album was an honor presented annually at the Latin Grammy Awards, a ceremony conducted by the Latin Academy of Recording Arts & Sciences to "recognize excellence and create a wider awareness of the cultural diversity" and contributions of Latin recording artists in the United States and internationally. 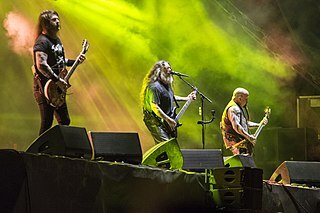 According to the category description guide for the 2009 Latin Grammy Awards, the award was given to vocal rock, hard rock or metal albums containing at least 51 percent of newly recorded material. It was given to a male or female artist. 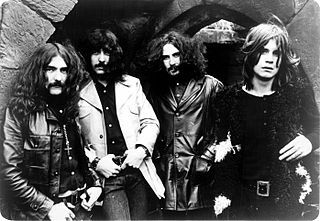 The Grammy Award for Best Rock Performance is an award presented at the Grammy Awards, a ceremony that was established in 1958 and originally called the Gramophone Awards. According to the 54th Grammy Awards description guide it is designed for solo, duo/groups or collaborative rock recordings and is limited to singles or tracks only. "Past Winners Search". National Academy of Recording Arts and Sciences . Retrieved March 4, 2011. Note: User must select the "Rock" category as the genre under the search feature. 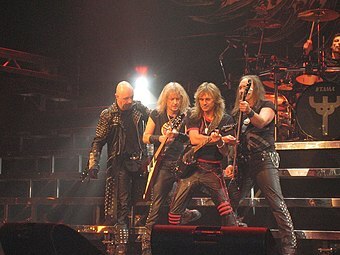 "Grammy Award for Best Metal Performance". Los Angeles Times . Tribune Company . Retrieved December 1, 2009. ↑ "Overview". The Recording Academy. Archived from the original on January 3, 2011. Retrieved April 24, 2010. ↑ "Grammy Awards at a Glance". Los Angeles Times . Tribune Company . Retrieved April 24, 2010. ↑ Pareles, Jon (February 23, 1989). 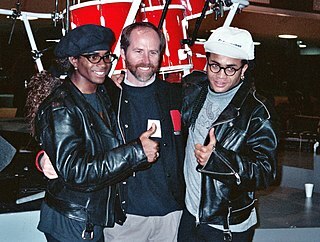 "Grammys to McFerrin and Chapman". The New York Times . Retrieved December 14, 2009. ↑ Hoffmann, Frank, ed. (2005). Encyclopedia of Recorded Sound. 1 (2 ed.). CRC Press. p. 542. ISBN 978-0-415-93835-8 . Retrieved December 11, 2009. ↑ Holden, Stephen (February 14, 1990). "The Pop Life". The New York Times. Retrieved December 11, 2009. ↑ Britt, Bruce (February 17, 1990). "It's time again for the Grammy award gripes". Pittsburgh Post-Gazette . Block Communications . Retrieved December 14, 2009. ↑ "The Recording Academy Elects New National Officer and Approves Continuing Evolution of Grammy Awards Categories at Spring Trustees Meeting". Recording Academy. June 4, 2013. Retrieved June 4, 2013. ↑ MacDonald, Patrick (January 12, 1990). "Soundgarden Nomination: The Growth of Local Rock". The Seattle Times . Retrieved December 17, 2009. ↑ Morse, Steve (January 11, 1991). "Grammys focus on fresh faces, jilt Madonna" (fee required). The Boston Globe . The New York Times Company . Retrieved December 17, 2009. ↑ "Grammy nominations span Streisand, Seal, Seattle Symphony". The Seattle Times. January 8, 1992. Retrieved December 17, 2009. ↑ Wilker, Deborah (January 6, 1995). "Stars dominate Grammy nominations" (fee required). South Florida Sun-Sentinel . Tribune Company. Retrieved December 17, 2009. ↑ Harris, Chris (January 29, 2010). "The Grammys Don't Understand Metal". Noisecreep . Retrieved July 31, 2010. ↑ Campbell, Mary (January 8, 1997). "Babyface is up for 12 Grammy awards". Milwaukee Journal Sentinel . p. 8B. Retrieved June 24, 2010. ↑ Morse, Steve (January 7, 1998). "Paula Cole a leader in Grammys" (fee required). The Boston Globe. The New York Times Company. Retrieved December 17, 2009. ↑ Kot, Greg (January 6, 1999). "10 nominations put Lauryn Hill atop Grammy heap" (fee required). Chicago Tribune . Tribune Company. Retrieved December 17, 2009. ↑ Kot, Greg (January 5, 2000). "Guitarist Santana is 1 on Grammys' chart of nominees" (fee required). Chicago Tribune. Tribune Company. Retrieved December 17, 2009. ↑ Bream, Jon (January 4, 2001). "Rapper Eminem earns 4 Grammy nods". Star Tribune . The Star Tribune Company. Archived from the original (fee required) on November 2, 2012. Retrieved December 17, 2009. ↑ "Complete List Of Grammy Nominees". CBS News. January 4, 2002. Retrieved June 24, 2010. ↑ "They're All Contenders". The New York Times. December 5, 2003. Retrieved June 24, 2010. ↑ "Kanye West is at top of Grammy list". The Seattle Times. December 8, 2004. Archived from the original on June 29, 2011. Retrieved June 24, 2010. ↑ "The Complete List of Grammy Nominations". The New York Times. December 8, 2005. p. 1. Retrieved June 24, 2010. ↑ "49th Annual Grammy Awards Winners List". National Academy of Recording Arts and Sciences. Archived from the original on December 20, 2006. Retrieved June 24, 2010. ↑ "Grammy 2008 Winners List". MTV. February 10, 2008. Retrieved December 1, 2009. ↑ "Grammy 2009 Winners List". MTV. February 8, 2009. Retrieved December 1, 2009. ↑ "The 52nd Annual Grammy Awards Nominees List". National Academy of Recording Arts and Sciences. Archived from the original on June 18, 2010. Retrieved June 24, 2010. ↑ "Grammys 2014: The complete list of nominees and winners". Los Angeles Times. Tribune Company. Retrieved December 7, 2015. ↑ "TENACIOUS D Wins 'Best Hard Rock/Metal Performance' GRAMMY Award". Blabbermouth.net . February 8, 2015. Retrieved February 8, 2015. ↑ "The 58th Annual Grammy Awards Nominees List" (PDF). National Academy of Recording Arts and Sciences. Retrieved December 7, 2015. 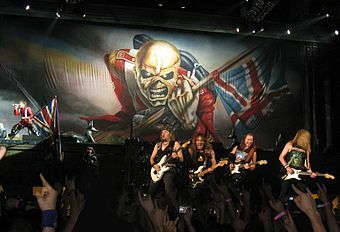 ↑ "MEGADETH Wins 'Best Metal Performance' GRAMMY Award". Blabbermouth.net. February 12, 2017. Retrieved November 28, 2017. ↑ "60th Grammy Nominees". Grammy.com. Retrieved 28 November 2017. ↑ "2019 metal and hard rock Grammy nominees include Greta Van Fleet, Ghost, Deafheaven, High on Fire, Halestorm, and more". Consequence of Sound. December 7, 2018. Retrieved December 7, 2018.